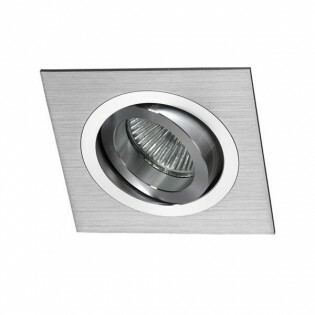 Recessed ceiling light tilting square with structure in polished aluminium inside and outside in aluminium colour. Dimensions: 260 x 92 x 25 cm. Angle: 30º. Rotating: 351º. - Drill hole: 245 x 80 mm. 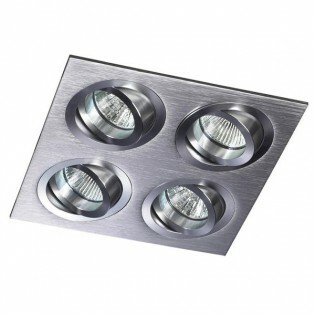 Features LED Light Bulb: GU10 7W - 700 Lm. 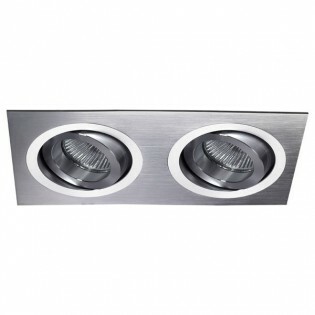 - 100º - 25.000 hours (Includes lamp holder GU10) Matt glass.